iOS 13 will be unveiled in June. Here’s when and on which iPhone and iPad the update will be released, and what new features it will have. All the rumors and the latest news. Apple has released iOS 12.2, the new version that introduces new animoji and fixes some bugs, but the curiosity begins to move to iOS 13, the next major update of the operating system for iPhone and iPad that will be revealed between 3 and 7 June 2019, at the WWDC. Among the new features of iOS 13 we could find the dark mode, updates to the iPad interface, a new home, multitasking and cross-platform apps. The next iOS update is already under development in Apple’s headquarters. Although no official news has been leaked at the moment, interesting rumors have come up that have shed light on what will change and which important new features will bring with it the new version. Below we collect all the latest news and rumors about the release date of iOS 13, the news, the iPhone and iPad compatible models and much more. Here’s all there is to know. Apple releases iOS updates in a timely and predictable manner. We can therefore reasonably hypothesize that in June 2019 it will announce and show iOS 13 at the WWDC. Immediately after the demo, a beta version of iOS 13 preview will be available for developers, followed by a public beta available for all program subscribers. Between July and August there will be a series of updates until the final version. In September 2019, when the new iPhone XI will be presented, the official and definitive version of iOS 13.0 will be released. Apple will continue to update iOS 13 with small updates, such as iOS 13.1, which will mainly consist of bug fixes and security patches, but which will occasionally add new useful features. One of the major issues relating to new versions of iOS concerns the compatibility of devices. Which iPads and iPhones will be able to run iOS 13? With iOS 12 Apple has upset a consolidated habit, releasing the update for the same devices that could install iOS 11, thus also including older models like iPhone 5s and iPad Mini 2. Will the list remain unchanged also next year? 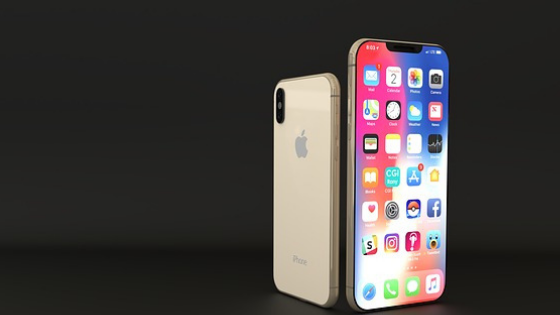 To the list of iPhones and iPads compatible with iOS 13 we must surely add the new 2019 iPhones, of which at the moment we know that they will be released in mid-September and that they will focus on the photographic sector. According to rumors in fact the iPhone 11 will have a triple rear camera that could be designed for underwater photography. It seems that Apple has decided to postpone several features initially planned for iOS 12 to the next update. Bloomberg journalist Mark Gurman discussed some features expected on the 2019 update on Twitter, which seems to be much more iPad-focused. We are expecting a renewal for the File app and Apple Pencil updates, as well as a redesign of the home screen. We expect, then, an improved Siri: after the Sirishortcuts, next year could be the time for a much more useful virtual assistant. In fact, a patent indicates that Siri could answer or reject unwanted or unanswerable calls, also offering a way to decline the call with a personalized response (called “Intelligent Digital Assistant photo Declining an Incoming Call” according to Apple Insider ). Apple plans to double the length of the video connected to a Live Photo, going from 3 to 6 seconds. The new emojis will not be available immediately after the release of iOS 13, but in a subsequent update during 2019. Apple will introduce new smilies, gestures, characters, objects, foods and animals. The yawning little man will come, exoskeleton, disabled, blind, mixed couples, polecat, sloth, flamingo, dog on a leash, waffle, onion, garlic, kite, colored symbols, white and bronze hearts, diving mask and much more. In addition, Jeremy Burge, creator of World Emoji Day, asked Apple to improve the search for emojis that is often not responsive on the iPhone. It seems like the time has come for Apple to make the search for smilies smarter. Some rumors speak of new options to mute notifications for more than 5 minutes, an hour or a day, perhaps adding the option 7 days or a specific date/time. The iOS 13 wishlist shows support for reading confirmations in the group iMessages, a feature already available on WhatsApp and Facebook Messenger, as well as a way to more effectively connect users with their contacts. For example, two friends might be able to see all the messages, emails and interactions on social networks between them in a single window. Will the Scroll to unlock back? The gesture eliminated from iOS 10 has long been claimed by users, who are not comfortable with having to press the Home button, simultaneously activating the TouchID to unlock the iPhone. Will Apple give in to popular pressure or not? Probably the second option, on the other hand users have become used to the new look of the operating system over time. According to some foreign sources with iOS 13, we may be able to run MacOS apps on the iPad and vice versa when Apple releases the new version in the fall. In December 2017 Bloomberg wrote that Apple plans to combine apps for iPhone, iPad and Mac as part of a secret project called Marzipan. Bloomberg sources said: “The developers will be able to design a single application that works with a touchscreen, mouse and trackpad depending on whether it is running on the iPhone and iPad operating system or on the Mac.“ However, Tim Cook has silenced the rumors by reiterating that mobile devices and computers must maintain distinct and separate operating systems. Previous articleInstagram: how to see a private profile without following it?